Job search can feel lonely- especially if you are unemployed. It doesn’t have to be this way! 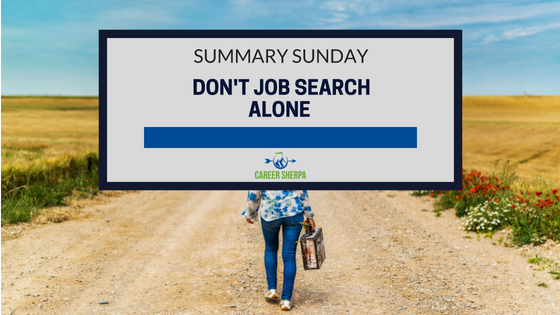 Don’t job search alone! There are very few things you will actually work on by yourself. Your job search shouldn’t be one of them. You need the advice, ideas and moral support from other people! This week’s summary will help you incorporate human interaction into your job search in many ways- from networking to using social media to joining a job club! Don’t be afraid to ask people you know or trust for advice to help with your job search. Everyone has been in your shoes. The problem is, that you’ll end up getting a lot of conflicting advice, especially when it comes to your resume. Hey, you never know. If people provide you with the same advice, maybe you should try it! Always ask why they are making the suggestion. Understand their logic so you know why you are making the change. The title of this article alone hits home! So many people don’t want to network. 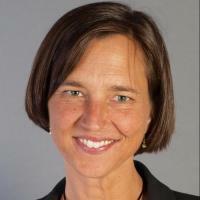 As an introvert, Dorie Clark provides four ways to make networking at a group event more palatable! All but the first one are very do-able! You can’t create your personal brand, but you can DEFINE it! One of the ways to do this is by getting feedback from people in your network! Find out how to define your brand with the help of others! This article is written for businesses but it absolutely has great ideas for job seekers too! As you know, an important part of job search is networking and getting your name out there! Creating and sharing content (pictures, articles, info) on social media is a great way to expand your reach! Try some of these ideas! Learn what the benefits are of joining a job club and where to find them! If you are serious about finding a job faster, then you really need to join a job club. This article spells it all out! Using social media for job search should be obvious…but some still don’t get it! This post and infographic spell out the power of being active on social media platforms while job searching!